If you’re an Aussie teenager, you don’t need a fancy car – you just need one that’s safe, reliable, and affordable. Budget-wise, buying a second-hand vehicle is a more realistic option for most teens. Keeping the running costs low is important too, which is why many young drivers often gravitate toward smaller cars that are easy to maintain and don’t chew up too much fuel. Although every movie from the 1960s seems to feature a 17-year old with a souped-up hot rod, things are a lot different in this century, at least in Australia. If you’re a young driver on a provisional licence, you’re not allowed to drive a car with a significantly modified engine or a vehicle with a power-to-mass ratio above 130 kilowatts per ton – so your hot-rod days may have to wait a few years at least. If this is the first car you’ve ever bought second-hand, there’s plenty to think about. If the car is just a few years old, it’ll be much cheaper than the new version – but if it’s too old, it probably won’t be as fuel efficient as a more modern vehicle. You’ll have to decide whether to buy privately or from a dealer and what your limited budget can afford. Fortunately, the less valuable the car, the lower your car insurance premiums are likely to be too. If you don’t know a lot about cars, take a ‘car expert’ with you when you inspect and test drive any vehicle you’re seriously thinking about buying. Check out our picks for the best used cars for teens in Australia, based on Canstar’s customer satisfaction surveys. 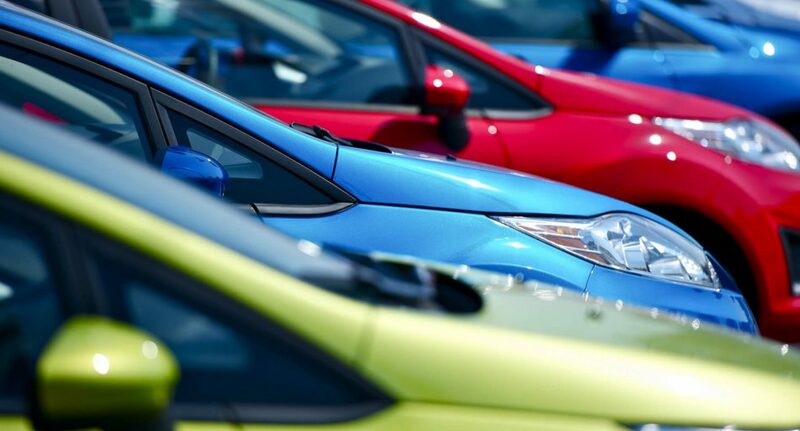 While the term ‘best’ can mean different things to different car buyers, there are some sensible choices you can make if you’re looking for the best first car in Australia. The Suzuki Swift has been a popular used car in this country since the 1980s, thanks largely to its impressive fuel economy, quality steering and suspension, low price and good throttle response. It is known for its toughness and reliability. Obviously, if you’re a basketball player-sized human, this car isn’t going to be your first choice, but for regular-sized people it has more than enough room inside, with plenty of adjustability in the positioning of the seats. As a Swift owner, your car insurance costs will be at the lower end of the scale, which is always good news for any teen. A staple of the Australian car market for over 30 years, the Holden Barina is an extremely practical option which blends excellent value with a little room for fun. Highlighted by an impressive list of features, including automatic headlights, cruise control, rear parking sensors, a six-speaker stereo, and Bluetooth connectivity, the Barina is a reliable, sturdy car that’s unlikely to let you down. When it comes to driving performance, the Barina’s engine offers pleasing mid-range pickup, which couples nicely with consistently responsive steering. A car has rarely suited its name more than the Honda Jazz. This zippy little car is full of energy, jazz, and everything else you need for a top notch driving experience. From the spacious interior to the highly intuitive styling, it seems like the Honda Jazz is always one step ahead. In particular, the Jazz is highlighted by a handy touchscreen media system, which operates the car’s Bluetooth and music streaming functions, as well as displaying its standard-fit rear-view camera. Elsewhere, the Jazz handles nicely, while still packing some good punch when required. For a small car, the i20 is surprisingly roomy, with a good-sized boot and plenty of storage space. It’s also a quiet car to drive at high speeds on the freeway, with road noise well isolated from the cabin. All models come with central locking, electric front windows, air conditioning and a USB music connection. Despite its smooth, faux leather wheel, the Kia Rio doesn’t reinvent the wheel. However, it doesn’t need to. Instead, the Kia Rio delivers a highly spacious interior (plus a large boot), a comfortable drive, and, most importantly good handling coupled with a solid, dependable engine. This all adds up to an enjoyable, efficient, and extremely practical car, which will get you from point A to point B and back again without any fuss. That’s not to say the Kia Rio doesn’t leave room for the odd flourish of extravagance too, just that this is a car which values pragmatism, making it an excellent value-for-money buy.